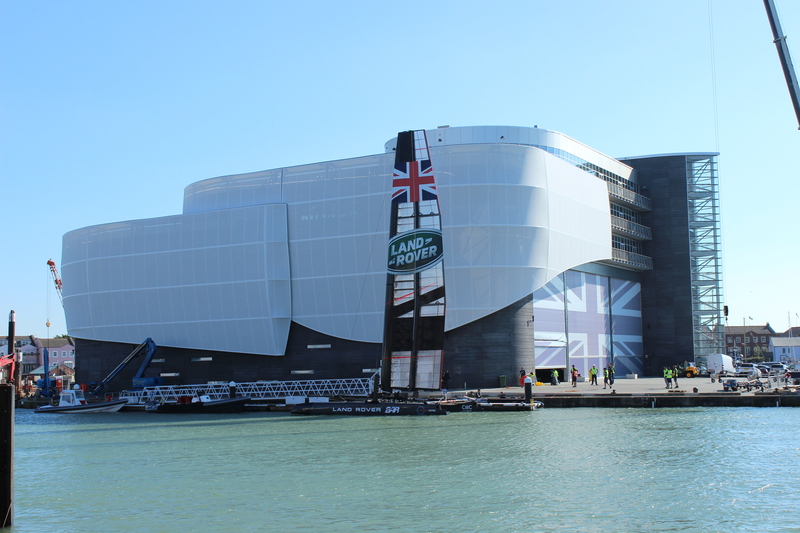 Landrover BAR America`s Cup Building – RICS South East Awards 2016 Project of the Year | Reuby & Stagg Ltd. The RICS awards showcase the most inspirational regional initiatives and developments in land, property, construction and the environment and the Project of the Year title is presented to the scheme which demonstrates overall outstanding best practice and an exemplary commitment to adding value to its local area. 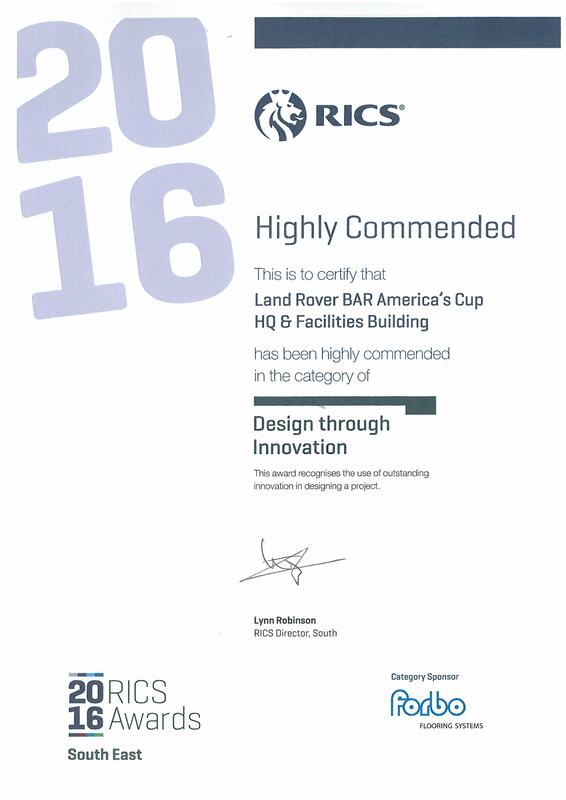 This project was the winner in the ‘Commercial’ category and highly commended in the ‘Design through Innovation’ category.